This email made its way to me. Twenty four members of the Department of Mathematics at the University of Leicester – the great majority of the members of the department – have been informed that their post is at risk of redundancy, and will have to reapply for their positions by the end of September. Only eighteen of those applying will be re-appointed (and some of those have been changed to purely teaching positions). This is supposedly because of a financial crisis at the University, though the union disputes this claim. It should be noted that there is no formal tenure in the UK, but such mass redundancies are highly unusual. In this case it would be helpful to mention in the comments section that your signature is in support of the Mathematics Department (the petition is for the whole University, but apparently only the Math Dept has been formally notified of the redundancies at this stage). Can one disprove special relativity with high school mathematics? Is it possible using mathematics that is not much beyond high school mathematics to prove that special relativity is wrong? And what does that even mean? It is more-or-less true that Einstein’s original works on special relativity do not really use any highbrow mathematics. In a standard undergraduate introduction to the subject no more than linear algebra is really used: vector spaces, matrices and quadratic forms. So, as linear algebra is well-founded, one is not going to find some internal inconsistencies in special relativity. Moreover, today we understand special relativity to be based on the geometry of Minkowski space-time. Basically, this is Euclidean with an awkward minus sign in the metric. Thus, special relativity, from a geometric perspective, is as well-founded as any thing in differential geometry. So one is not going to mathematically prove that special relativity is wrong in any mathematical sense. However, the theory of special relativity is falsifiable in the sense of Popper. That is, taking into account the domain of validity (ie., just the situations you expect the theory to work), experimental accuracy, statistical errors etc. one can compare the theoretical predictions with what is measured in experiments. If the predictions match the theory well, up to some pre-described level, then the theory is said to be ‘good’. Otherwise the theory is ‘bad’ and not considered to be a viable description of nature. In this sense, using not much more that linear algebra one could in principle calculate something within special relativity that does not agree well with nature (being careful with the domain of validity etc). Thus, one can in principle show that special relativity is not a ‘good’ theory by finding some mismatch between the theory and observations. This must be the case if we want to consider special relativity as a scientific theory. Is special relativity ‘good’ or ‘bad’? Today we have no evidence, direct or indirect, to suggest that special relativity is not a viable description of nature (as ever taking into account the domain of validity). For example, the standard model of particle physics has at its heart special relativity. So far we have had great agreement with theory and experiment, the electromagnetic sector is extremely well tested. This tells us that special relativity is ‘good’. Even the more strange predictions like time dilation are realised. For example the difference in the life-time of muons as measured at rest and at high speed via cosmic rays agrees very well with the predictions of special relativity. Including gravity into the mix produces general relativity. However, we know that on small enough scales general relativity reduces to special relativity. Any evidence that general relativity is a ‘good’ theory also indirectly tells us that special relativity is ‘good’. Apart from all the other tests, I offer the discovery of gravitational waves as evidence that general relativity is ‘good’ and thus special relativity is also ‘good’. The important thing to remember is that the domain of validity is vital in deciding if a theory is ‘good’ or ‘bad’. We know that physics depends on the scales at which you observe, so we in no way would expect special relativity be a viable description across all scales. For example, when gravity comes into play we have to consider general relativity. On the very smallest length scales, outside of what we can probe, we expect the nature of space-time to be modified to take into account quantum mechanics. Thus, at these smallest length scales we would not expect the description of space-time using special relativity to be a very accurate one. So, no one is claiming that special relativity, nor general relativity is the final say on the structure of space and time. All we are claiming is that we do have ‘good’ theories by the widely accepted definition. Are all claims that relativity is wrong bogus? However, in my experience most objections to special relativity are based on either philosophical grounds or misinterpreting the calculations. Neither of these are enough to claim that Einstein was completely wrong in regards to relativity. All mathematics is already known? An old friend of mine, who went into teaching chemistry at high school, was surprised that I am involved in mathematics research, or more correctly that anyone is. Surely all mathematics was worked out and finalised years ago? I think he was willing to accept that there are still some classical open problems, but essentially he thought that mathematics was now ‘done and dusted’. Of course this cannot be the case, as evidence I offer all the preprints that appear on the arXiv everyday. Mathematics departments are not full of people who just teach linear algebra and calculus to engineering students! I also submit that my boss Prof. Grabowski would be wondering what I am doing day in day out! But why would he think mathematics research is over? High school students are aware that science is far from over and the syllabus for A-level physics is periodically updated to reflect some of these new discoveries. Linear algebra first emerged in 1693 with the work of Leibniz. By about 1900 all the main ingredients were know, so vectors have a modern treatment by 1900. This is all quite dated, but some open questions remain (for example in relation to quantum information theory). Quadratic functions were solved by Euclid (circa 300 BC) and ‘the formula’ was known to Brahmagupta by 628 AD. Calculus the foundations are from the 17th century in the works of Newton and Leibniz. Plane geometry goes back to 300 BC and Euclid. Coordinate geometry is due to Descartes in the 1600’s. Probability theory has it origins in Cardano’s work in the 16th century. Fermat and Pascal in the 17th century also made fundamental advances here. Logarithms and exponentials in their modern form is due to Euler in the 18th century. Trigonometry has roots going back to the Greek mathematicians from the 3rd century BC. Islamic mathematicians by the 10th century were using all six trigonometric functions. So in sort, much of the typical pure mathematics syllabus at advanced level in high school is quite old. This I think, together with the ‘unchanging’ nature of mathematics (once proven a statement is always true) leads to the idea that it is all done already and nothing new can be discovered. 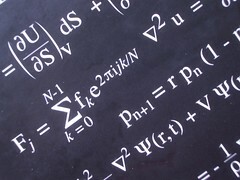 It also take from my friends question that he understood that the applications of mathematics are important and that plenty of work in applied mathematics is going on, for example in computational approaches to chemical dynamics. 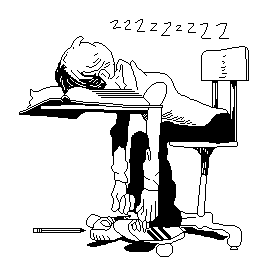 However, the ideas that mathematics as mathematics is finished remained. For me personally, these applications of mathematics can lead to new structures in mathematics and this is worth studying. Indeed much of my professional work is in studying geometries inspired by applications in physics, particularly mechanics and field theory. The ‘unchanging’ nature of mathematics is hard to get around. In science some new evidence could come to light and change our views. Indeed the scientific method is an integral part of teaching physics at advanced level in the UK. This ‘flexibility’ of science to adapt is important in student understanding of the philosophy of science. So, we could try to promote new discoveries in mathematics to the general public, including high school students. The problem is that the background needed to understand the questions, let alone have any idea about the solutions prevents wide public engagement. Astronomers are lucky, we have all seen stars in the sky and can admire nice pictures! Trying to start at a much higher level of mathematics would be futile, given the prerequisites that are needed. 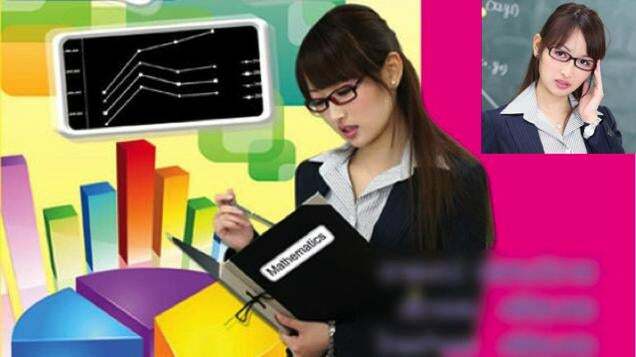 Moreover, most students will not become researchers in mathematics and will only need to be comfortable applying basic mathematics to their later field of study and work. In short I have no idea how to promote the idea that mathematics research is not over, but please take my word it is not over! The London Mathematical Society (LMS) Popular Lectures present exciting topics in mathematics and its applications to a wide audience. Because the LMS is 150 years old this year they are having 4 lectures this year instead of the usual 2. The lectures will be held in London, Birmingham, Leeds and Glasgow. Engineers should embrace their artistic side. More warnings about a shortage of STEM graduates. Where are these messages coming from? There is no shortage, many graduates in engineering for example are forced to work in jobs that are nothing to do with their degrees, or even worse they are in non-graduate jobs. Engineering needs to emphasise its creative side to encourage more young people to take it up as a career. This is fine. The fields of science and engineering do require some creative thinking. There is an element are art to this. But I am worried about the continual message of a lack of STEM graduates where in reality many are unemployed. I really don’t understand the B.S. here. Schools watchdog Estyn says too many pupils struggle with the basics of mathematics and maths skills were “at best, average” in more than half of schools inspected in Wales last year. The mathematics skills and the teaching methodologies in Welsh schools seems to be a continuing source of worry. The Bałtycki Instytut Matematyki is organising a “Math & Physics & Sailing Camp”, where the participants can learn about mathematics, physics and sailing. The camp will be in near the city of Tricity, Poland, which is situated on Gdańsk Bay. The planned start date is 1st May 2015. Keep an eye on the webpage for further details. How to attract teen boys to mathematics? In my class you see me rapping, singing, dancing on the tables—I even made a music video about math to grab their attention. Newton to appear at a pub in Cardiff! As part of this year’s Cardiff Science Festival the Institute of Physics has organised for Prof. Mike Edmunds to perform his one man play about Sir Isaac Newton at Porter’s Bar in Cardiff on Wednesday, 16 July 2014 from 18:30 to 20:00. This event is completely FREE, but spaces are limited. Please follow the link below for more details. The intention with this blog is to post maybe once or twice a month about mathematical physics, theoretical physics, pure mathematics and anything else I find interesting. This blog will also be used for dissemination of my work and entries related to my research will feature heavily. Disclaimer: Any views of opinions expressed on this blog are that of the author and do not necessarily reflect that of any other individual or institution the author maybe associated with. My name is Andrew Bruce and I am a mathematical physicist who works on the boundaries of physics and modern geometry. Currently I am Research Associate in the Mathematics Research Unit of the University of Luxembourg. My research interests are in mathematical physics and modern geometry. In particular I have been interested in supermanifolds, graded manifolds, Lie algebroids and various generalisations of Poisson structures. Almost commutative versions of Lie algebroids?